Chicago has really, really good food so if you’re a foodie like me, you’re going to love Chicago. Chicago was named Restaurant City of The Year by Bon Appétit, the James Beard Awards moved to Chicago, and Chicago had 25-star winners and 54 Bib Gourmand Winners in the Michelin Guide 2018. The prestigious James Beard Foundation Awards is slated to take place in Chicago on Monday, May 7th to celebrate fine cooking across the country and showcase some of the best restaurants and bars in Chicago that have helped position the city as a world-class dining destination. James Beard Eats Week is April 27 – May 7 2018, and restaurants all over Chicago will be featuring special menus and dishes directly inspired by the legendary James Beard himself. Check out the list of participating restaurants or the Neighborhood Guide for James Beard Eats Week 2018. I spent a weekend eating my way through the city and after 13 amazing meals, I left Chicago happy with a food coma. In addition to eating really good food, I loved exploring each of the neighborhoods, shopping at the vintage boutiques, trying craft cocktails at local bars, and even just chatting with the locals at the coffee shops. This is my ultimate food guide to Chicago on where to eat for breakfast, lunch, dinner, brunch, and desserts. There’s more to Chicago than just deep-dish pizza. 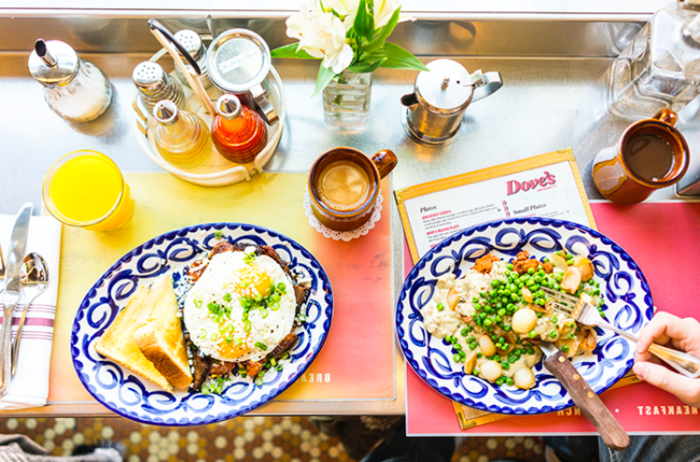 Before you start exploring all the vintage shops like the trendy Moon Voyage shop to classic pieces from Vintage Underground, and unique boutiques in Wicker Park, you need to fuel up on a hearty breakfast and the spot to go is Dove’s Luncheonette. This neighborhood diner will take you back to the soul and blues era of Chicago in the 1960s and 70s with its comfort food and full mezcal and tequila bar. The chicken fried chicken was one of the best I’ve ever had and love that Dove’s Luncheonette serves local coffee, Dark Matter. Pro tip: Play a song on the jukebox for just a dime. 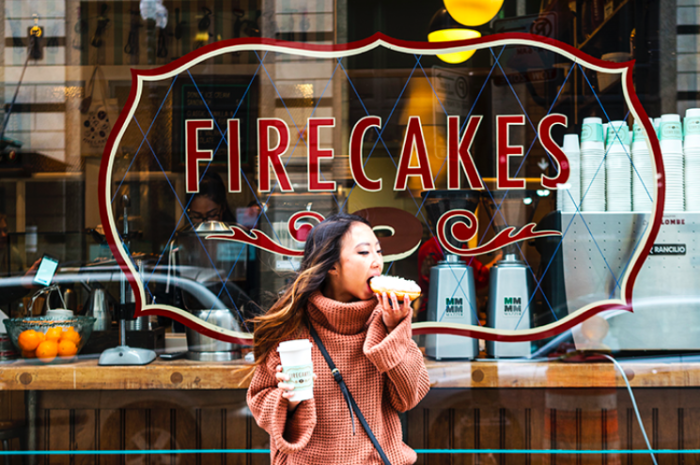 You have to eat doughnuts when visiting Chicago and the spot to go is Firecakes. The artisanal donuts are made in small batches from an old family recipe with flavors like buttermilk old fashioned to candied pepper bacon and maple long john. The Tahitian vanilla iced is what Firecakes is known for but might as well get the Valrhona chocolate iced to eat later. When I walked by Stan’s and saw all the beautiful doughnuts in the case, I had to go in! 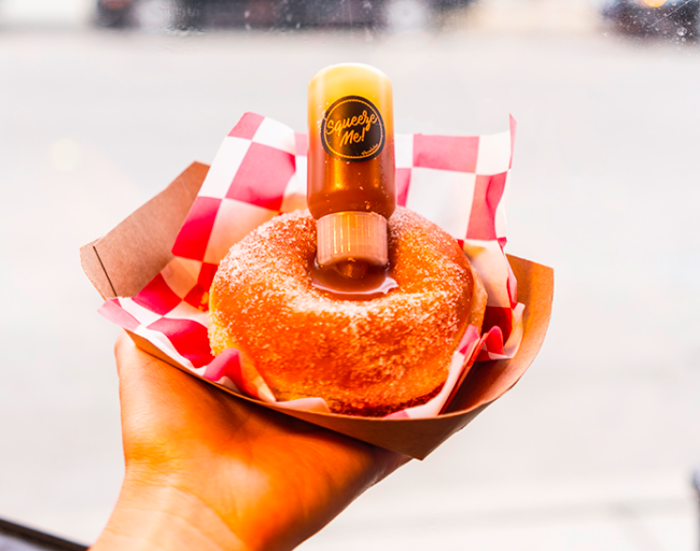 Greeted by the smell of freshly baked doughnuts and a super cute Instagrammable space makes Stan’s a must eat stop in Chicago. 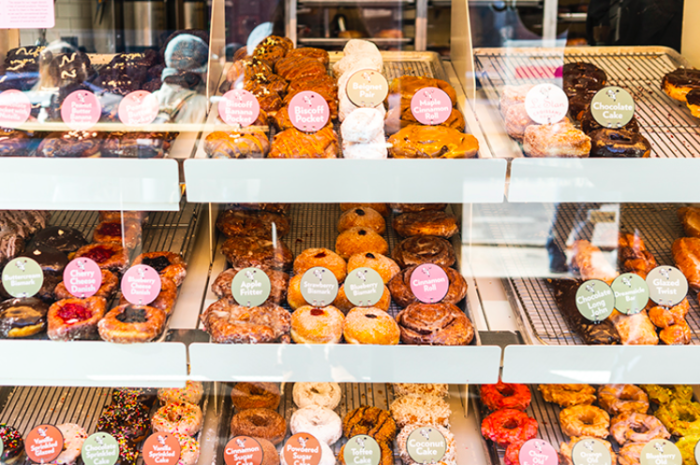 The Le Stan’ Croissant Donut was layers and layers of flaky goodness with a creamy center. 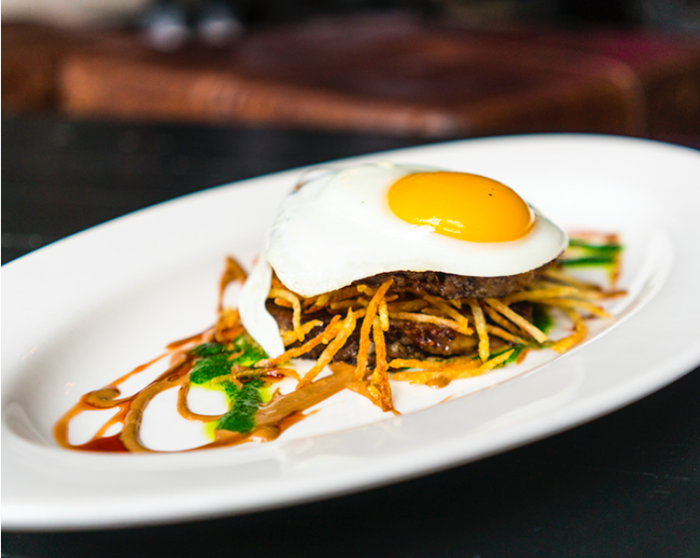 Kick off the weekend with a Vietnamese brunch at HaiSous, a semifinalist for the prestigious James Beard “Best New Restaurant” Award. 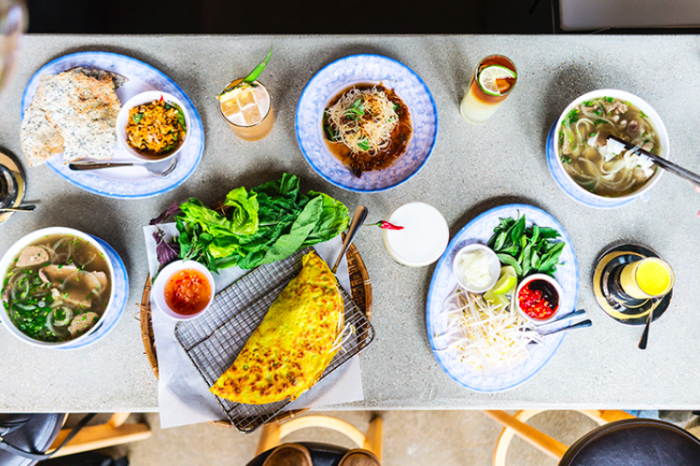 Opt for the $25 brunch pre-fixe that comes with Gỏi Đu Đủ (papaya salad), Hến Xúc Bánh Đa (chopped clams with grilled rice crackers), and Phở Mẹ Tôi (beef pho). I also highly recommend ordering the bánh xèo (Vietnamese pancake), egg coffee, tequila, and mezcal cocktails. takuan, and kai-lan. 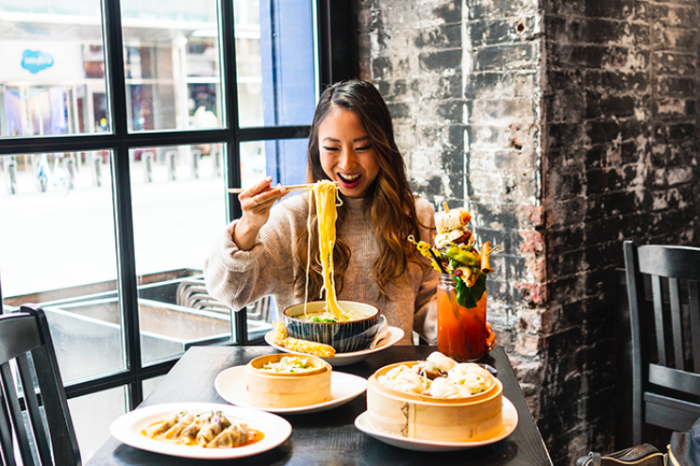 Might as order a bowl of ramen, more duck bao, and dumplings while you’re at it. What to order: duck buns, Sumo Mary, and ramen. 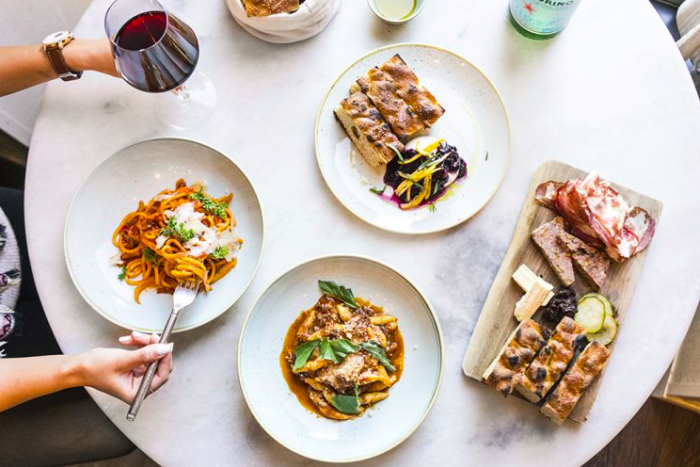 Chicago’s most beloved Italian restaurant, Spiaggia, has a sister restaurant, Cafe Spiaggia, with a more casual Italian menu. The pasta is all made in-house with the freshest ingredients. Don’t feel bad ordering an extra bowl of pasta because you’re going to walk it off when you go shopping on Magnificent Mile. 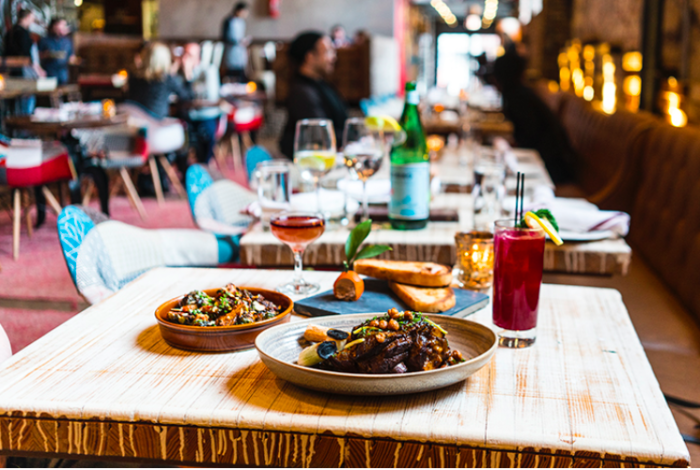 Considered one of the best restaurants in Chicago, Girl & The Goat is Stephanie Izard’s first restaurant after winning Top Chef that features rustic small dishes. Girl & The Goat is one of the hardest tables to get in Chicago but if you go early (like I did right when they opened) you can snag a walk-in seat. We ordered the wood oven roasted pig face and it was incredible with the crispy shoestring potatoes. It comes with a sunny side up egg that once you mixed with everything else on the plate becomes a creamy sauce and ties it all together. 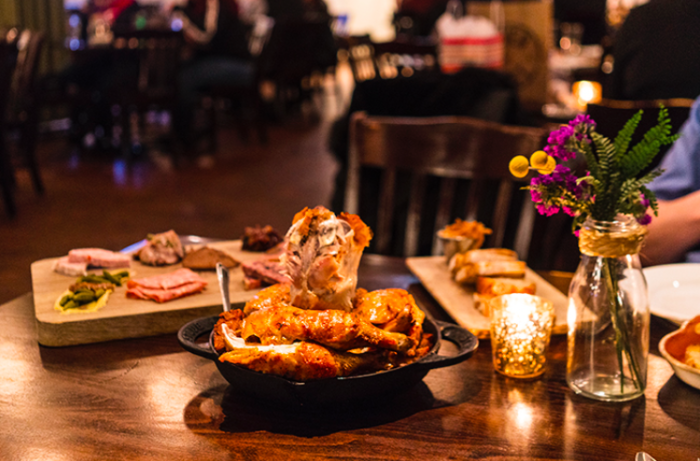 Located in Chicago’s West Loop, Fulton Market Kitchen menu’s is rustic with a touch of artistry. The foie mousse is served in a mandarin orange jelly mold in the shape of a mandarin with toasted sourdough. It’s a great place to hang out and enjoy cocktails and food while taking in all the local art in this cool warehouse space. What to order: foie mousse, chili garlic Brussels sprouts, and lamb shank. Au Cheval was my last meal in Chicago and the one hour wait was totally worth it. Sometimes the wait can be three hours long. 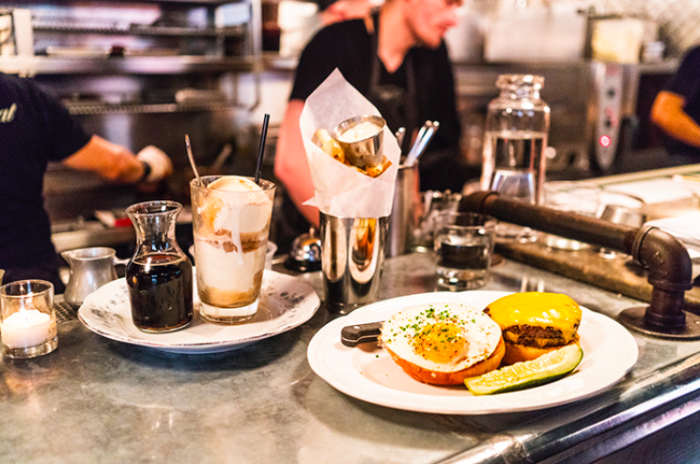 Grab a seat at the bar to witness all the burger magic happening right before you eyes but know that you’ll want to eat everything. The hardest decision you’ll have to make is whether you want a single (comes with two patties) or double burger (three patties). We got the single burger with fries, and a root beer float. What to order: double burger with bacon and a root beer float. For the best view of the city and an excellent meal, go to River Roast that’s right on the river inside the historic Reid Murdoch building. The Hogan’s charcuterie with chef’s selection housemade & local charcuterie is one of the best charcuterie boards I’ve ever had. From there, you’ll choose from a whole chicken, rack of pork, big fish (crispy or fire roasted), roast beef, or the ‘Sunday Supper’ prime rib (available only on Sundays). We got the whole chicken with River Roast potatoes and it was so good. Next time, I’m getting the fire roasted branzino with Mediterranean chips. If you have a party of 6, order the social house smash punch! 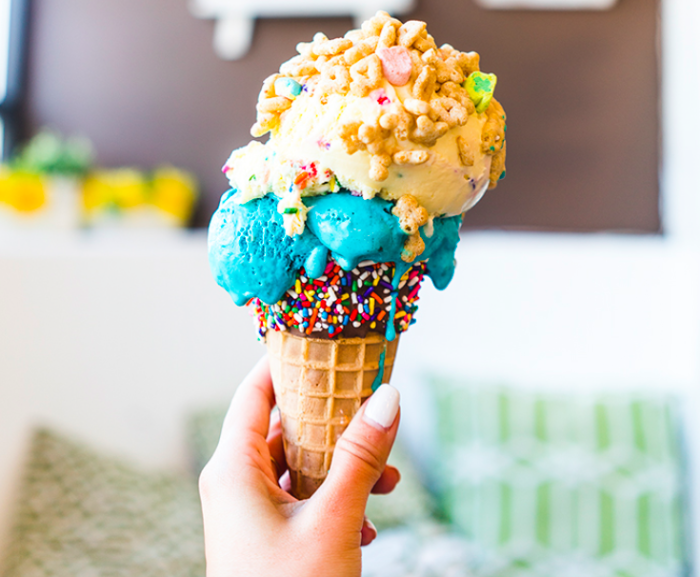 To be honest, I came to Cone Gourmet because I wanted an Instagram-worthy ice cream shot but the marshmallow ice cream with Lucky Charms cereal is really good. Confession: I found Bombobar on Instagram and had to get photos of their donuts with the squeeze me bottle and the over-the-top hot chocolates. So tempted to get the bombo box that comes with a dozen but I settled for the salted caramel bomboloni and funfetti hotter chocolate. I couldn’t leave Chicago without freshly baked cookies and the place to go is Warm Belly Bakery. 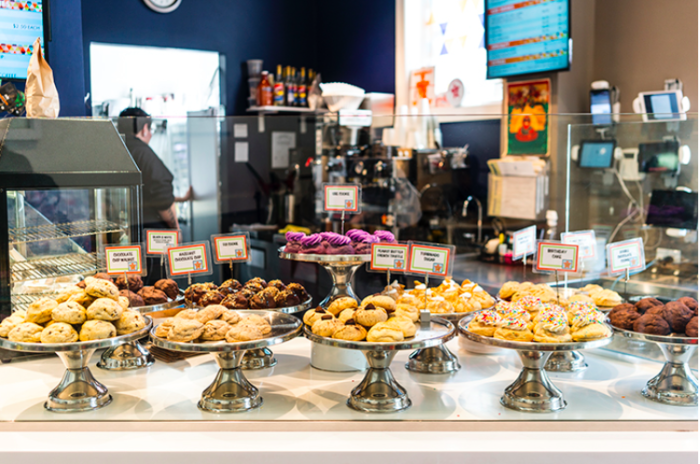 Warm Belly has over 70 varieties of homemade cookies including the unique ube cookie. Order a couple of them to go for the flight home and you’ll thank me later for this pro tip. This article originally appeared on Jane Ko&apos;s food and travel blog, A Taste of Koko. Jane Ko is the blogger behind A Taste of Koko, Austin's top food and travel blog. She is a social media marketer, blogger, food photographer, and the host of the largest SXSW food crawl. Lives in Austin, find her on Google+ and @atasteofkoko.